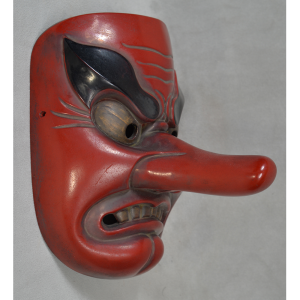 The tengu is a legendary being very important to Japanese mythology, found in both folk tales and Shinto and Buddhist religious doctrines. Despite the reference to dog in the creature’s name (“celestial dog”) and origin, it is also associated with a predatory bird. 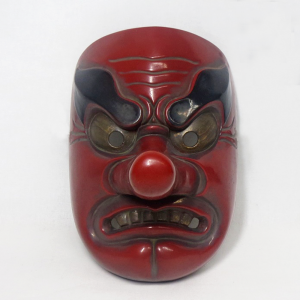 The role of the tengu is ambiguous, with some sources treating it as a demon and others as a protective demi-god. Its form, too, varies between that of a large bird of prey and a brightly-colored human, nearly always with an exceptionally long nose. 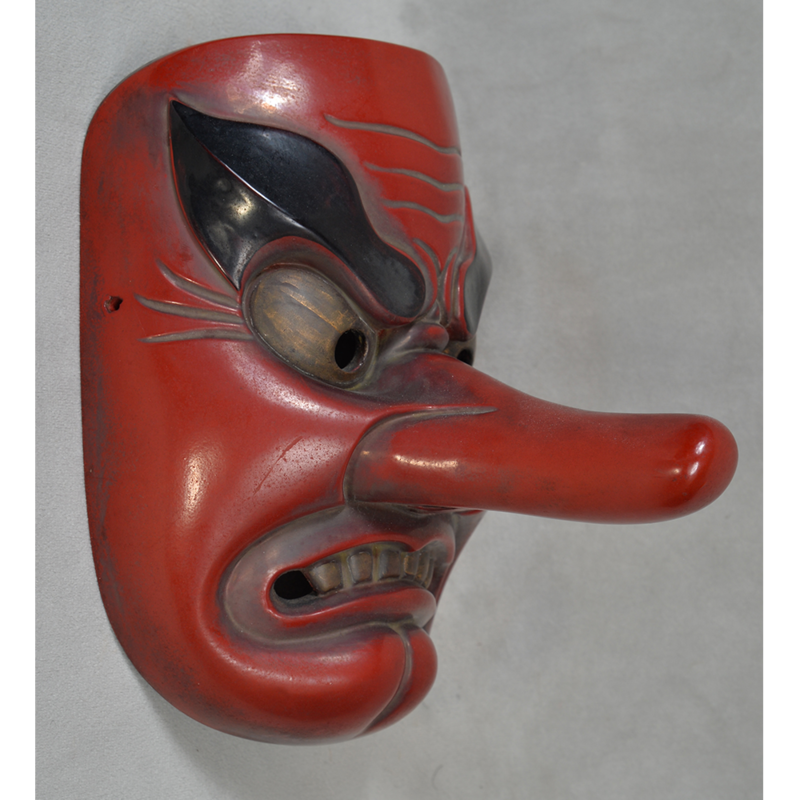 The tengu is a popular masked character in Kyōgen theatre as well. 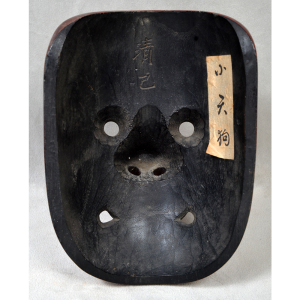 Kyōgen is a traditional form of Japanese comic theatre, usually performed in village celebrations or as interludes between traditional Noh dramas. Kyōgen is performed by both masked and unmasked characters, whose role is defined in each traditional play. The actors are accompanied by flute, drum and gong music, but Kyōgen emphasizes dialogue and action over song or dance. In these plays, the tengu typically plays the role of trouble-maker (sometimes dupe) or mystical protector.